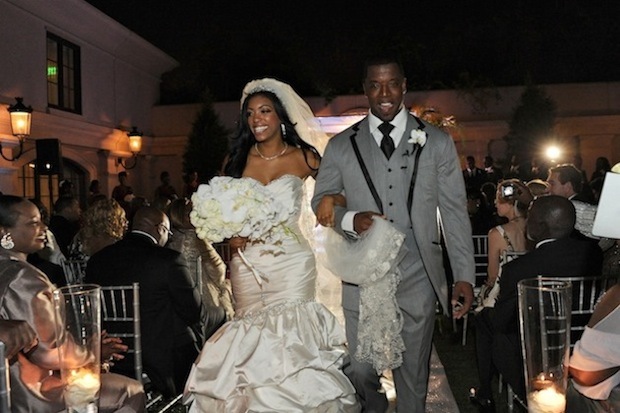 Word on the street is…..
An inside source tells Black Media Scoop that Real Housewives of Atlanta cast members Porsha and Kordell Stewart cooked up their fake divorce drama after realizing they would be axed from the show. Only in reality TV can a man have an “estranged wife” who still shares his bed. Apparently that mess worked. A Bravo exec says Porsha was officially axed off the show but after all the divorce drama… both Kordell and Porsha were asked back. Folks will do anything to stay on tv. Kordell should have tried some of these antics while on the football feild. This entry was posted in TV and tagged divorce, Kordell Stewart, Nene Leakes, Porsha Stewart. Bookmark the permalink.